To God Be the Glory! 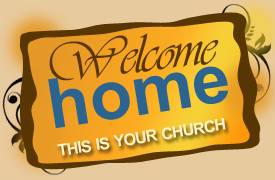 We are so delighted that you have united with us here at Greater Imani Church & Christian Center. Your new church was called into existence on November 1, 1989 to be a God-chasing, trail blazing, Holy Ghost-let body of bible believers, anchored in the truth of God’s Holy Word. We are a large church family, but we are a loving church family. We don’t want our new members to get that “lost” feeling here. We challenge you to become actively involved in your new church immediately. Greater Imani is founded on the principle of the “teaching ministry.” We believe that all of our members should always be in a state of progressive spiritual improvement, constantly advancing in the divine life for the “perfecting of the saints.” Our Christian education Department is committed to professionalism and excellence in teaching the best in materials, equipment and curriculum. Our zeal of God must be according to knowledge. To that end, Greater Imani offers Orientation Classes for all new members and is open to any visitors or long-time members who would like additional information about the church. These Orientation classes are for anyone interested in learning about opportunities to serve, as well as information about all areas of the church and its history. The sessions are taught in four-week intervals on Wednesday nights beginning at 6:00 p.m.